One of the major attractions of Mahansar tour is the Sone Chandi ki Dukan (jewellery shop). The famous creature is standing here since 1846 glorifying the area presenting its great artistic skill-works. Many people from around the world do stop here en-route Jaipur only to witness the Dukan completing their emotional attachments with the amazing Shekhawati jewellery artworks. You will be astonished seeing how artists had used their skills in painting intricate designs on the walls using gold leaves. You will not find similar textures in haveli paintings anywhere else. It’s the unique characteristics of Mahansar. Three vaulted ceilings of the haveli houses most talked after creative works. Paintings covering scenes from the Ramayana, incarnations of Lord Vishnu, and life of Lord Krishna are visible on the left, centre, and right ceiling respectively. Havelis of Mahansar is uniquely designed. 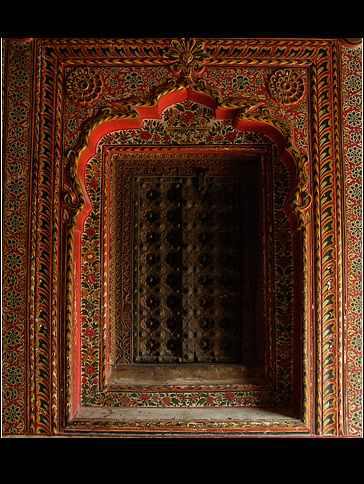 Design, construction, and wall paintings of these havelis are awe-inspiring. 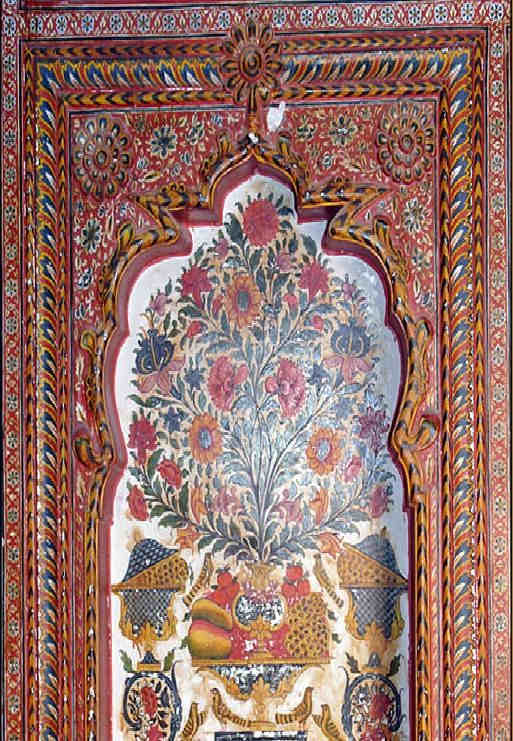 Frescoes and artworks form integral part of the existence of these havelis. A huge dancing hall constructed in highly structural way will make your Mahansar visit more appealing. The Hindu religious site will complete your pilgrimage while touring around the Shekhawati Mahansar. The temple with its high stature is a nice place to visit and offer your prayer. Pilgrims visit the beautiful temple all around the year. Many paintings displayed here are from the illustrious Bikaner school of paintings. There exist a number of decent hotels in and around Mahansar to suite your pocket. Majority of the hotels here offer discounted rates during off periods. Leaving the luxurious hotels, budget hotels too offer decorated and well-furnished rooms to supplement the Shekhawati culture. While staying at these hotels, you must taste spicy Rajasthani dishes to experience the inner flavour of Shekhawati ethnicity. If you can find a little time out of your busy travel schedule, you may like to explore the hidden pleasure of horse safari, camel safari, roaming around the shopping plazas, playing with the golden sands, etc.